One month after Fab announced seven million members and removed the signup roadblock to view items for sale, the e-commerce site for design aficionados is now rolling out a completely re-imagined iOS app, while simultaneously making it available in 24 European countries having previously only been available in the US. 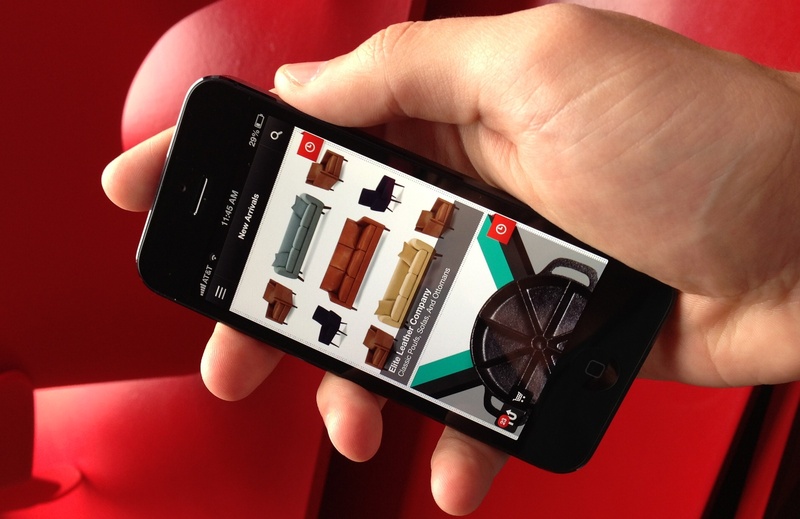 We first reported on Fab’s first foray into native mobile apps last October, launching on iOS and Android. One year on, and those apps now contribute to a third of Fab’s daily visits, AND its daily sales. Digging a little deeper, however, it seems that iOS is the real cash cow for Fab, as we reported earlier this summer that 95% its mobile revenue comes from Apple’s devices. With the new iOS apps, they have been rebuilt from the ground up, with a view towards creating the “ultimate mobile shopping experience.” This means that they’re now optimized for iPhone 5 and iPad Retina displays. There’s no getting away from the fact that Fab’s new mobile app is a joy to use…even if you have no intention of parting with any money, they’re great for a little design-based voyeurism. There is some neat products on show here…around 10,000, in total. While mobile already plays a pretty significant part in Fab’s revenue, the company says “that’s not good enough”, and is vying for a 50/50 split between mobile/desktop revenues, something it hopes to achieve with its new app. And apparently, they’re just getting started – we can expect more mobile developments to come. The new Fab app is available to download now and, for the first time, they’re also available in 24 countries across Europe: Austria, Belgium, Bulgaria, Czech Republic, Denmark, Estonia, Finland, Germany, Greece, Hungary, Ireland, Italy, Latvia, Lithuania, Luxembourg, Netherlands, Poland, Portugal, Romania, Slovakia, Slovenia, Spain, Sweden and the UK. Users can toggle between English and German. Fab Europe actually grew out of the startup’s acquisition of Germany’s Casacanda and, just a few weeks back, Fab finally – and quietly – brought its European website up to par with its North America-focused Fab.com sister site. The new site no longer redirects visitors to the English version of Fab.de, but instead to eu.fab.com. We’ve been told an update to its Android offering can be expected within a few weeks, but until then it will remain US-only.